Peter Wilby (the Guardian, 5 September) argues that the manifest failure of neo-liberalism to fulfil its promises to voters now provides the Labour Party with an opportunity and a duty to move on from New Labour’s preoccupation with the centre ground and to assert an alternative and more radical agenda. He is right of course, but his argument can be taken further. I argue that the whole New Labour experiment was based on an unnecessary defeatism in the face of what seemed to be the established neo-liberal hegemony, and that the consequence was a flawed analysis of what was needed to resist and defeat it. The acceptance that British voters had endorsed an all-embracing right-wing agenda led the Labour party to conclude that it would have to accommodate this apparently permanent change by making a wholesale shift of its own political agenda along the spectrum to the right. Accordingly, much of the neo-liberal agenda was adopted by New Labour, sometimes with considerable enthusiasm. The remnants of any vaguely radical policies were quickly jettisoned and new ones eschewed. When the 1997 election was won, the strategy was seen to be vindicated; little account was taken of the fact that victory had been virtually certain in any case because the electorate – fed up after 18 years of the Tories – was determined on change. The lurch rightwards reflected a common failing on the part of political activists – the assumption that everyone else also holds political views that are internally consistent and together constitute a coherent political stance. But most people are not so considered about politics; they hold views that are often inconsistent and contradictory. They are perfectly capable of nodding assent at any given moment to propositions from every part of the political spectrum. For many, what determines how they vote is which issues are at the top of their minds as they enter the polling booth. It is here that the right have traditionally gained an advantage; they have been adept at using their superior access to the media to “tweak” those concerns, about, for example, “social security scroungers” or immigrants or increased taxes, that suit their purposes. New Labour failed to grasp that this simple point meant that moving their whole stance rightwards was both unnecessary and unhelpful. It confused many voters as to what it was they were asked to support. It failed to convince others who found the Tories more credible exponents of the neo-liberal agenda. And it disappointed many others who looked in vain for a mainstream party that would represent the values and principles that Labour seemed to have abandoned. Most importantly, the move rightwards confirmed that most dangerous and insidious of Thatcherite platitudes – that there is no alternative – and left their natural supporters nowhere to go. Little wonder that the disappointment with nine years of New Labour left many voters disaffected in respect of democratic politics as a whole. The outcome of the contest for power depends less on what part of the political spectrum each party occupies as on how well they address the particular issues with the greatest salience. The contest is therefore one of competing narratives; as the political agenda unfolds and throws up its usual bewildering array of issues, what matters is how well rival politicians can describe, explain and resolve them in terms of the values and attitudes that they are known or assumed to espouse. New Labour possessed no such competing narrative. Because they had assumed that voters no longer retained traditional Labour values, no attempt was made to call them up – submerged as they might be – from the deep. They therefore failed to link policies to deal with important issues with the values they were known to represent. They found themselves, for example, disabled from responding effectively to issues like widening inequality because they had lost the capacity to explain its significance in terms of most people’s continuing desire for fairness and for ensuring that both benefits and burdens are fairly shared. 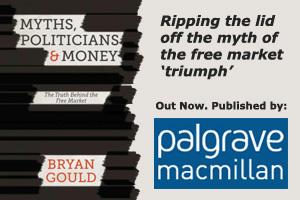 They failed to engage with high rates of unemployment, or the downward pressure on wages, or the cuts in public services, by making the simple point that to cut purchasing power and government spending not only meant that the most vulnerable were asked to bear the greatest burden but also made no economic sense. This left the rival narrative from the right – that inequality is the price that must be paid for building an efficient economy – unchallenged. Yet what is economically efficient about keeping large numbers out of work or allowing wealth to concentrate in just a few hands? When Tony Blair forfeited the trust of the people, New Labour accordingly had nothing left to offer. The failure of neo-liberalism has offered Labour a new chance. What they must now do is to stop looking for advantage by moving backwards and forwards along the political spectrum. They must renounce the constant triangulation and spin-doctoring, and develop those narratives that explain the country’s problems and their solution in terms of the values – fairness, compassion, tolerance, shared responsibility – that have long been held, have never been abandoned and that will again strike a chord in the minds and hearts of the people. Previous: Why Not for the Unemployed?